New Website, New Price! Maximum Discount on 30s% Purchase Through Paypal. 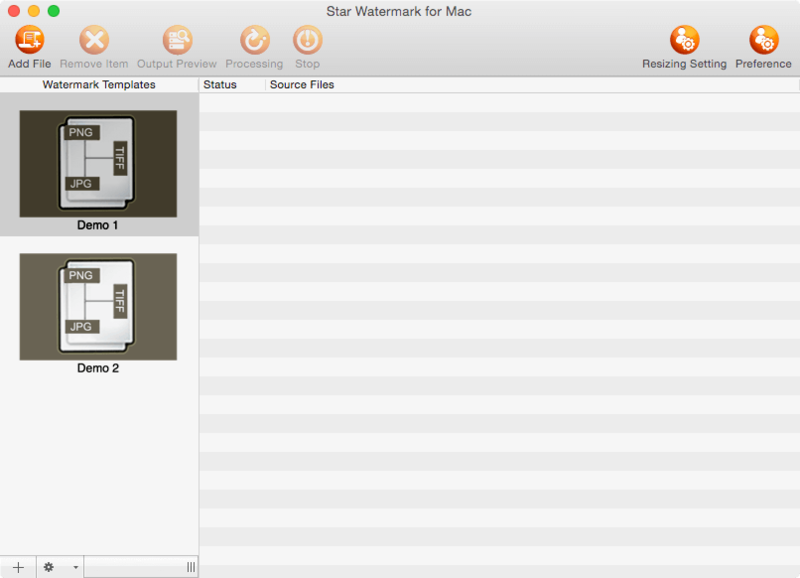 Hi Mac user, star photo/pdf watermark has support macOS Mojave 10.14, pls download latest version. Batch photo watermarking tool to promote your brand, protect copyright and express individuality. All the tools are batch mode. Customize your watermark template one time, batch apply this template to images. You can add text and image watermark to your photos, and customize their properties to meet your demands. 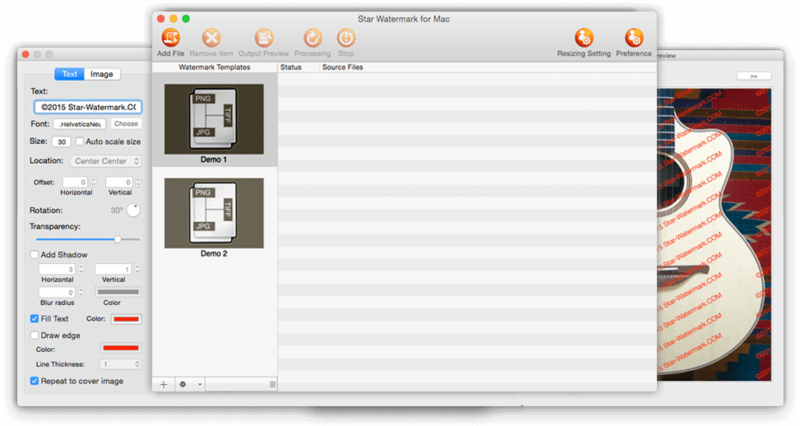 Both photo watermark and pdf watermark tools have a Mac and Windows edition, and keep consistent interface style. If you have a question, please feel free to contact us. We will respond within 24 hours. 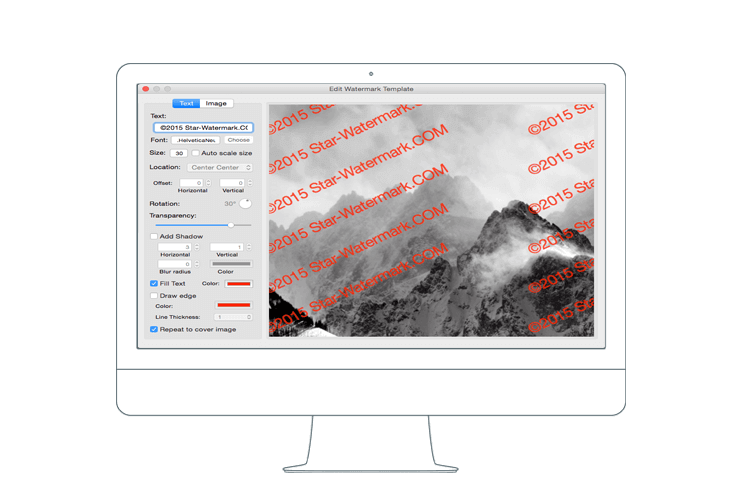 Star Watermark is a powerful and easy-to-use tool to add watermarks on your photos. With the program you can batch add text watermark and image watermark to your photos, and can digitally sign your work/photos/graphic/artwork, You could build your company brand, by having your company logo on all your images. Avoid the surprise of seeing your artwork elsewhere on the web or in an ad. Add copyright on images now. 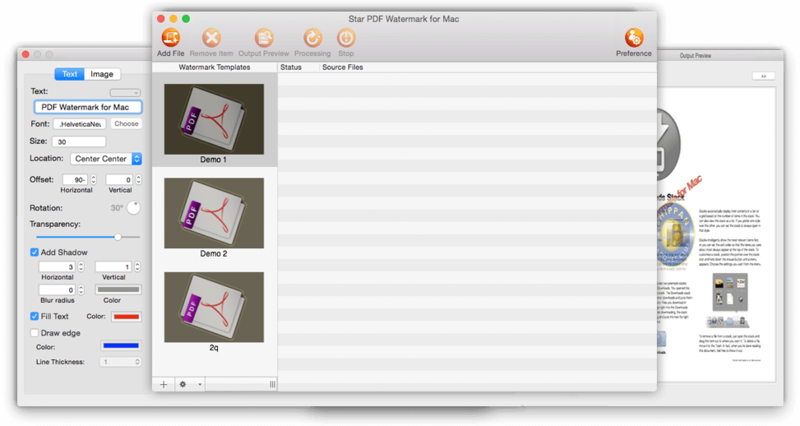 Star PDF Watermark is a batch PDF watermark tool to add text or image watermark to every page of a Acrobat PDF file, such as add signatures, company name or company logo to protect you PDF file copyright. Freely customize watermark rotation, transparency, text Size, text color, position, text shadow and so on to your pdf documents. With batch mode, you can add one watermark to many pdf documents at one time. When edit text/image watermark template, you can add photos or pdf files to preview the result effect before processing. More options to customize text/image watermark like rotation, transparency, text Size, text color, position, text shadow and so on. 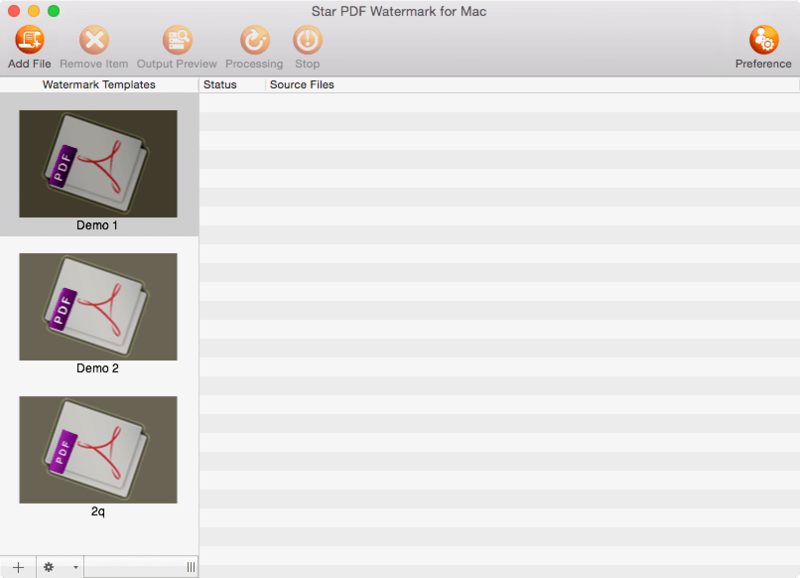 Mac photo watermark or PDF watermark software include english, german, french portuguese, and japanese languages.